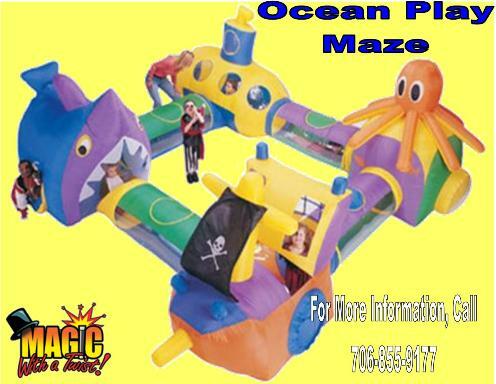 The Ocean Play Maze requires a relatively flat area about 20�x 25� and within 100' of an electrical outlet. We prefer to set the inflatables up on grass. Please make sure all sticks, rocks and dog waste are cleared from the area before we arrive. So there is no delay in setting up for your event.